These toys and apparel will probably be modeled after the young cast—Finn Wolfhard, Millie Bobby Brown, Gaten Matarazzo, Caleb McLaughlin, and Noah Schnapp—who lend the series much of its appeal. 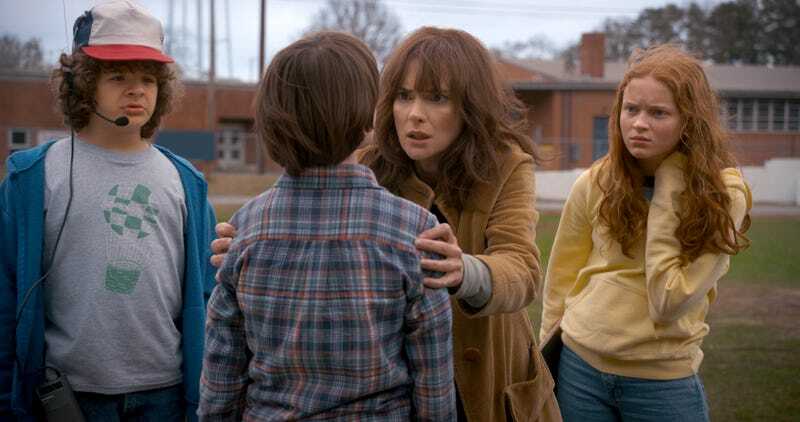 But because “every time you have a show that relies so heavily on the charm of kids, you want to capture that,” a source tells THR that Netflix reportedly wanted to film seasons three and four back to back, to avoid the actors’ awkward phases. The idea was shot down by the Duffer brothers, who pointed out it would put a terrible strain on the writers’ wrists to crank out so many episodes under such tight time constraints. Besides, only a third season has been confirmed, while a fourth, if eventually ordered, will likely bring the series to an end.